Our Furry, Feathered or Scaly Friends - Family Times is an award-winning magazine with staff-written news, feature stories and artwork that inform and inspire Central New York parents and their children. Kids and pets. Seems like a great combination. Most parents can remember either having or wanting a pet as a child and are eager to provide that experience for their own children. The sentimental idea of having a pet is often at odds with reality. Some pets are as much work as an infant. Realistic expectations and considering your child’s developmental stage will greatly reduce conflict. Humans are generally accepted to be the only species to keep pets. The research on pet ownership shows multiple health benefits. Lower rates of stress and depression and a reduction in blood pressure are some of the benefits pet owners enjoy. In addition, pets provide children with lessons about life, birth, growth, illness and aging, as well as death and bereavement. Pets can help children gain a respect for other living things. Pets bring emotional comfort, love and loyalty, and they make great listeners for those tumultuous teenage years. When considering a pet, it’s important to define if the animal will be a “family pet” or the “child’s pet.” The distinction has far-reaching implications for responsibilities and expectations. If the pet will be a family pet with shared caretaking responsibilities, parents can match the child’s responsibilities to her age regardless of the type of animal. Even young children can assist in feeding duties and accompany parents to events such as vet visits. Older kids can help with cleanup tasks and exercising. If the pet is meant for the child, parents need to match the type of pet to the child’s age. Parents should be realistic about their child’s current level of responsibility and scheduled commitments. Despite the pleas and promises, does he really have the time and show the initiative to take on a pet that needs daily attention like cage cleaning, walking or grooming? As parents, do you have the time to pick up the slack when things falter? The ASPCA (American Society for the Prevention of Cruelty to Animals) gives the following guidelines for suggested pets at different ages. In addition to your child’s age, don’t forget to consider the lifespan of the pet. There’s a wide variety, and some may surprise you. Dogs and cats live for 15 to 20 years while fish, frogs, guinea pigs and hamsters live less than five years. Small birds can live 15 to 20 years and larger birds like macaws and cockatoos for 30-plus years. Small turtles like box turtles can have a 50-year lifespan! In the end, the decision to add a pet falls to parents. Be sure you are willing to take on the care of the animal if needed. Interest and motivation can fade and even responsible kids need supervision and reminders. 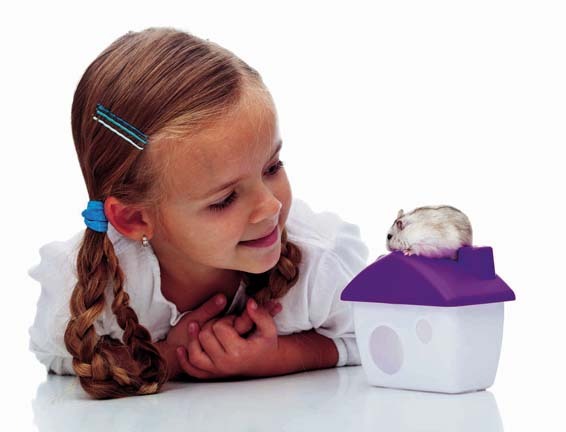 With the right considerations, adding a pet to the household can be a great experience for children of all ages.